It always takes a lot of ambition to have a try at a concept album. 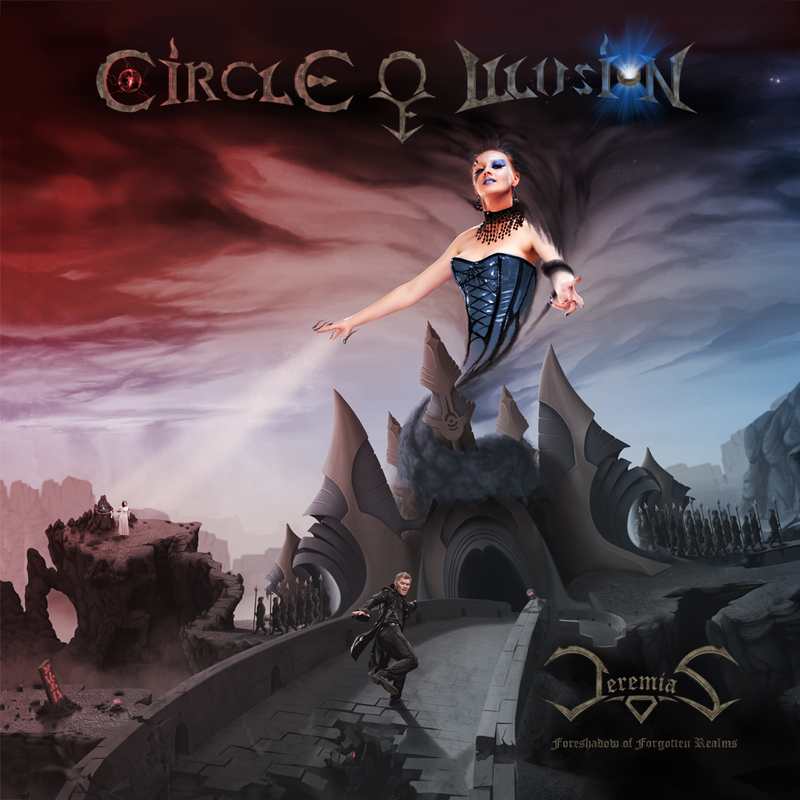 Where other artists first dabble with the musical equivalent to comic strips, Gerald Peter and his band Circle of Illusion start off with what is pratically a musical novel: A filled-to-capacity CD with a continuous story that is further enriched across a 36-page booklet. Brown himself plays the eponymous Jeremy, the female roles were given to Cara Cole (as the mysterious Jelena) and Elga Shafran (as Jeremy’s wife Sarah). The result is a progressive rock opera for the 21st Century where the lines between genres are blurred: In Jeremias, epic orchestral melodies and powerful guitar riffs alternate with playful keyboard lines, progressive rhythms, time signature changes, virtuosic solos and funky/jazzy grooves. Classical music and metal, progressive rock, funk, fusion and Hollywood-style film music – the album brings together vastly differing styles effortlessly.